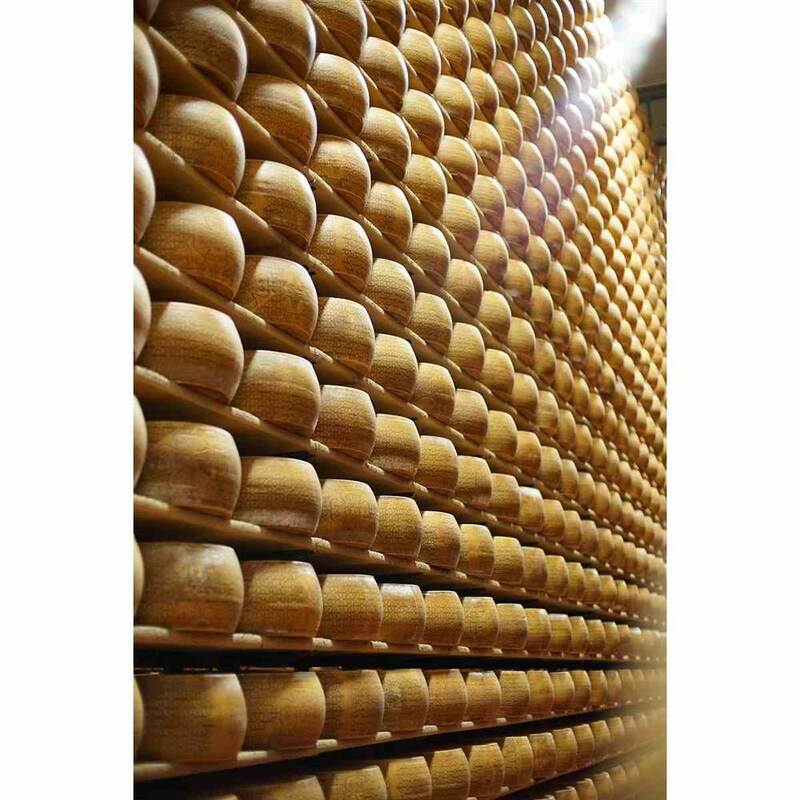 “The best cheese in the entire province is produced here.” President Valentino Lavarini greets us with this quote, emphasising that this cheese factory in Bergantino is the only one in the province of Rovigo to produce Grana Padano, and a destination for visitors from all over the world. 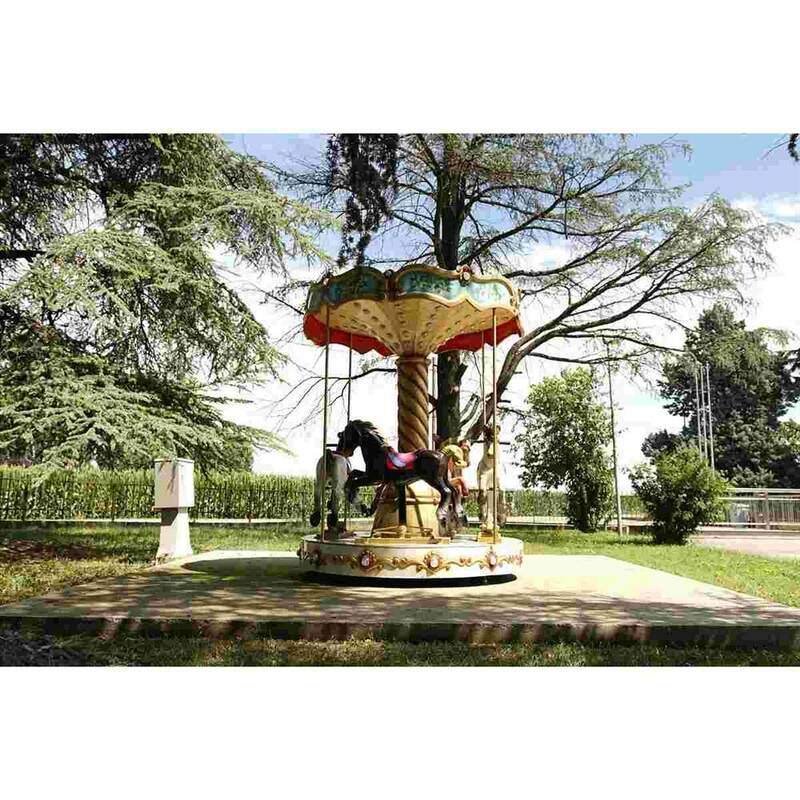 The second attraction in Bergantino is the Historical Carousel Museum. This museum celebrates the other old local tradition, one that interests many young people in the area who, after they complete their studies, choose to embark upon a professional career in the carousel arts. Twice a week, Girolibero tour groups arrive at the Caseificio Ballottara. They travel the Mantua - Venice route along the Po river and another navigable stretch: the White Canal. 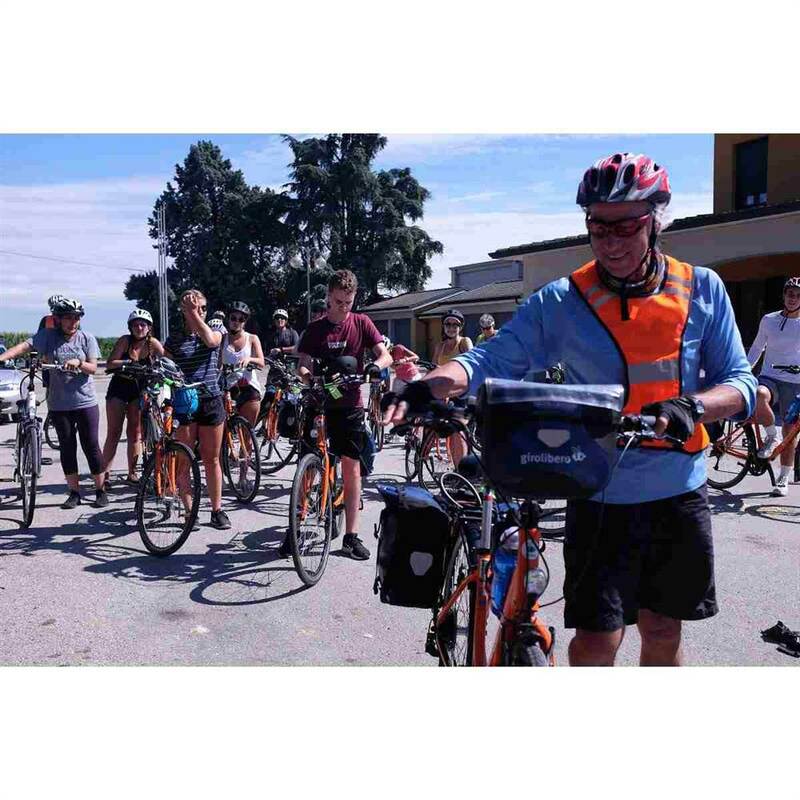 They arrive here by bicycle and then continue by boat to discover the precious tradition of Grana Padano PDO, which is a fundamental part of the local culinary tradition and highly appreciated by tourists. Cheesemaking in the Valentino family began well before the business that now operates in Bergantino, on the Veronese mountains, where it originated. In fact, the Ballottara cheese factory was active from 1963 to 1982. 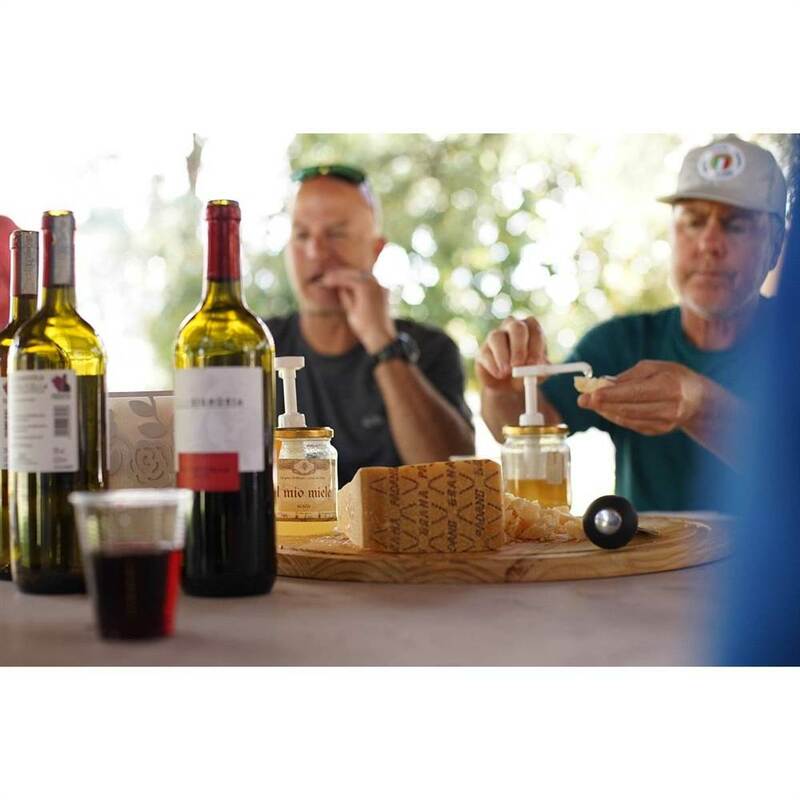 After being closed for nearly seven years, the farm was started up again in 1988, and finally in 1996, after obtaining the necessary authorisations to rebuild, Valentino was finally able to re-open the cheese factory. Today, the Ballottara factory processes 200,000 litres of milk a day. Along with Valentino, there’s also Matteo and Licia, two guides from Quelli che l’Altrove, another cultural/tourist entity in Bergantino that works with Girolibero on its visits to the cheese factory and the museum. 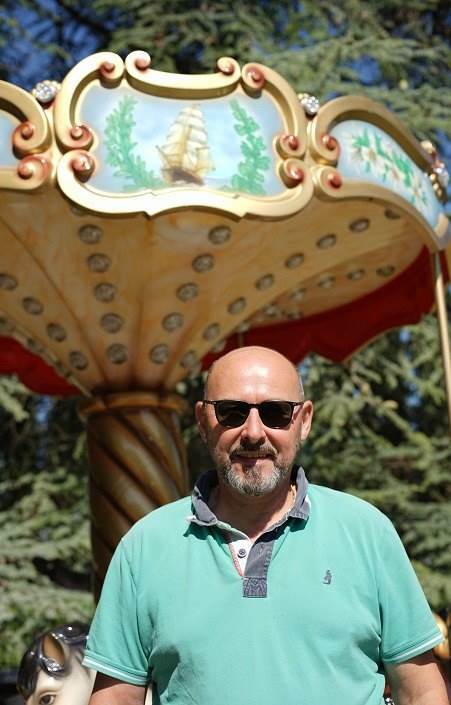 Guiding the bike groups is Fabio Perselli, the son of a Grana Padano PDO maturer, who shares the story of this territory with great passion. 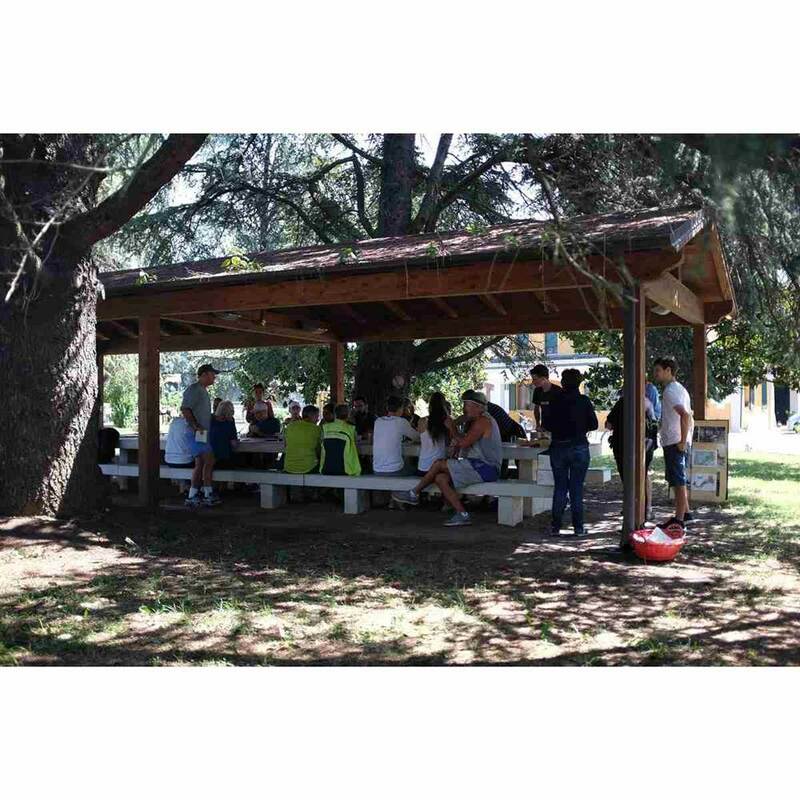 The setting is lovely: everyone seated around a table made of stone from the Lessinia mountains, set under a wooden canopy in the park in front of the cheesemaking building. The dairy does not have a shop but, thanks to Girolibero, many people have the chance to taste this truly unique Grana Padano PDO. They arrive by bike around 10 AM accompanied by Fabio from Girolibero. 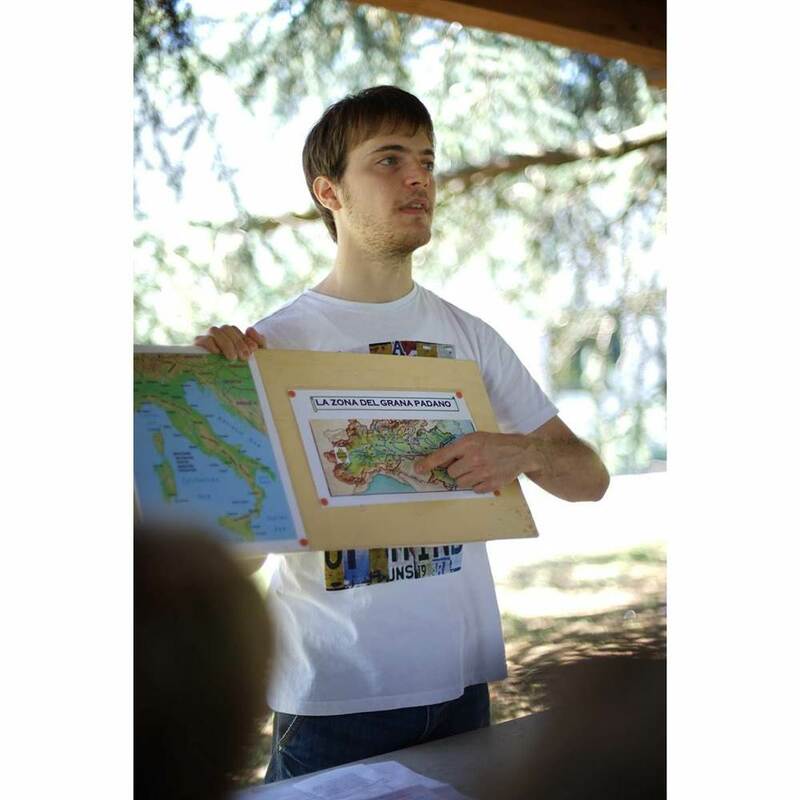 The group that arrives is a large family from California: three generations travelling to discover 1000 years of history. 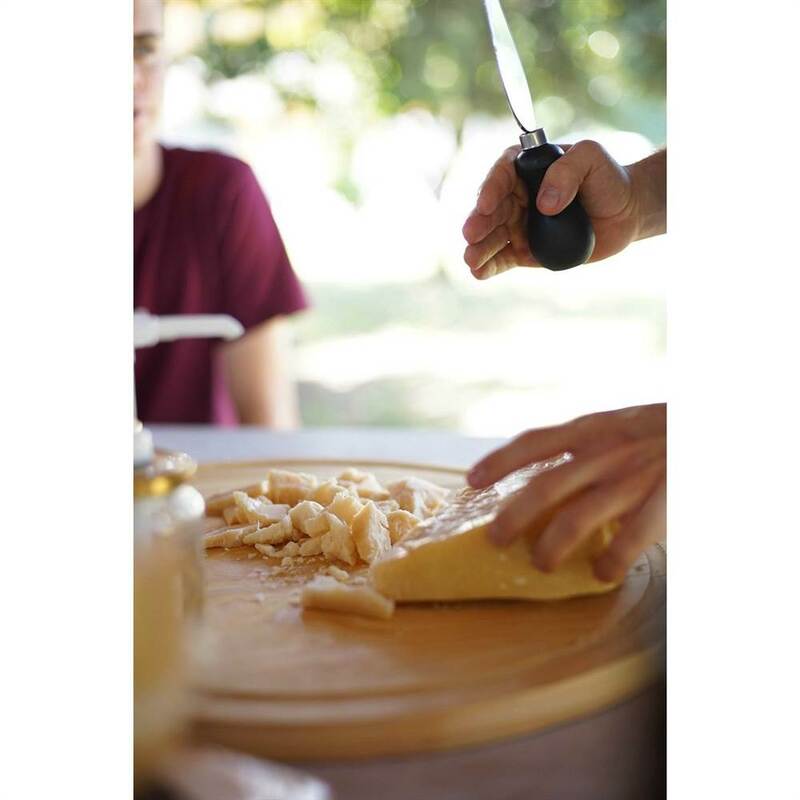 Matteo is very young, but despite his age he is very precise and professional in demonstrating in detail all the stages of the Grana Padano production and the meaning of PDO for this extraordinary product. The Girolibero visitors’ wonder and admiration, in discovering how much milk is used to produce just one wheel, the meticulous controls that each wheel undergoes and the maturing process that improves the qualities of Grana Padano month after month, does justice to the work of Matteo, Licia, Fabio and Valentino, who highlight the typical characteristics of these places every day. Valentino reminds us that working in a cheese factory means marrying a lifestyle, because production never stops, not even when a tornado damages the roof of the maturing storehouse. 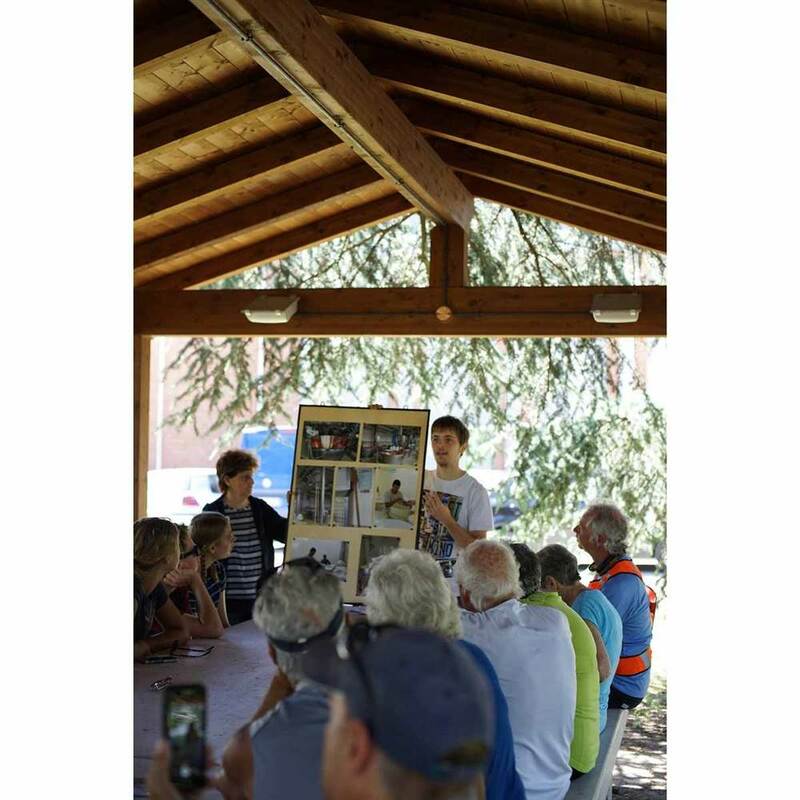 And this also is part of the history, a story to share so people can understand the strength of the members of the Grana Padano PDO Consortium. next: Caseificio Sociale Canalone Soc. Coop.